“Heroes and Villains” is FM’s much anticipated ninth original studio album, which follows the band’s celebration in 2014 of their 30th Anniversary and the successful release of the “Rockville” albums in 2013. Comprising the ex-Samson pair of bassist Merv Goldsworthy and drummer Pete Jupp; the Overland brothers –vocalist/guitarist Steve and lead guitarist Chris - plus the keyboard talents of Philip Manchester (AKA sci-fi nutcase Didge Digital), FM's first public appearance on Valentine’s Day of 1985 was swiftly followed by the release of their debut album, “Indiscreet”. FM hit the road in Europe supporting the likes of Tina Turner, Meat Loaf, Foreigner, Gary Moore, Status Quo and the white-hot Bon Jovi on the ‘Slippery When Wet’ tour. For the next 12 years FM consolidated their position at the forefront of British melodic rock, touring everywhere they could to promote releases such as 1989's “Tough It Out” and 1992's “Aphrodisiac”. In1996, with 'grunge' fever sweeping the world, the band decided to call it a day... until October 2007, when FM at last played together again for the first time in 12 years, headlining a sold-out Firefest IV at Nottingham Rock City, showcasing new guitarist Jim Kirkpatrick. This was followed in March 2010 by the release of their much-anticipated sixth studio album “Metropolis”. The next 4 years saw FM touring extensively including tours with Thin Lizzy, Foreigner and Europe and festivals with acts like Toto, Survivor at Graspop, Sweden Rock, Loreley and Download Festival for the second time. For the first time in their history they also had songs play listed on national radio in the UK including "Story Of My Life” and “Better Late Than never” on BBC Radio 2. 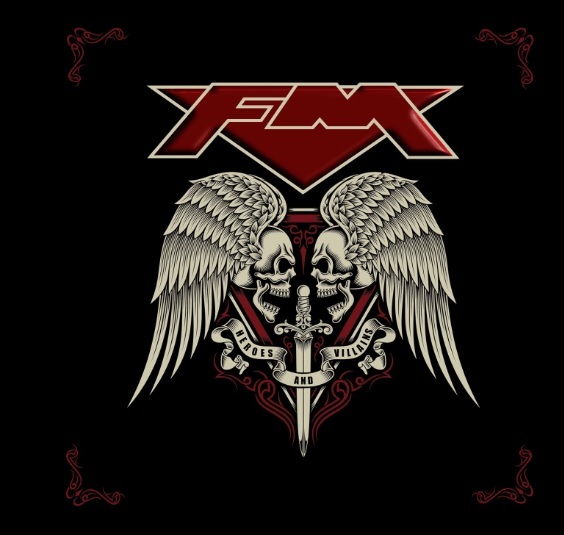 The new album sees FM staying true to their musical legacy offering their classic sound updated in 2015 with great songwriting and performances and of course the “golden voice” of Steve Overland. Another gem of an album which is undoubtedly going to please all the fans.